Has This Shipping Box Been Seen Before? Thread: Has This Shipping Box Been Seen Before? And if so, how often? I've several shipping cases for AJ and Star Trek, just one for WGSH, but I don't think I've seen Wizard of Oz before. Especially filled with figures. Of course, I am far from a expert on shipping boxes. Full Disclosure- I do know the seller. He's a member here and a good guy, but I was wondering. I can't remember ever seeing one before either. It's a pretty good deal considering it comes with 18 figures in it. Also, Dan is one of my favourite people I've met here, no offense to the rest of you. Very nice. It's also great to see the case assortment, I didn't know that was a feature. 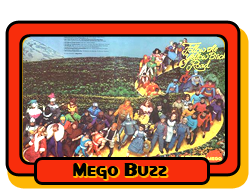 I love Mego's Oz. Six more figures and it's a complete case! Last edited by LonnieFisher; Dec 4, '18 at 5:06 PM. None taken. I haven't exactly been the best.